29-06-1982, old age, 82, Reinbek. (12-08-1894 – 26-05-1923) was a member of the German Freikorps. His activities sabotaging French occupying troops after World War I led to his arrest and eventual execution by French forces. His death created an image of martyrdom around him, which was cultivated by German nationalist groups, in particular the Nazi Party. During the Third Reich, he was widely commemorated as a national hero. Bernard Rogge was assigned to the Hilfskreuzer, auxiliary cruiser “Atlantis” , the “Atlantis” capture or sink 21 ships, in one of those ships captured Rogge found top-secret documents about the defenses of the port of Singapore and pass it to the Japanese for those action he won the Knights Cross with Oak Leaves and a samurai sword from the emperor of Japan , after the sinking of the “Atlantis” in 22-11-1941. J. Armstrong White, captain of the British City of Baghdad, which Atlantis sank in July 1941, stated, “His treatment of prisoners left respect, instead of hatred”. In the five and a half years of the war, German shipyards built 1.156 U-boats, of which 784 were lost from enemy action or other causes. Their toll of enemy shipping was 2.603 merchant ships of over 13½ million tons, and 175 naval vessels of all types. In terms of human lives, 28.000 German U-boat crew of the total 40.900 men recruited into the service lost their lives and 5.000 were taken prisoners of war. Some 30.000 men of the allied merchant service died, in addition to an unknown number of Allied naval personnel. When the war ended, 156 U-boats surrendered, 221 were scuttled by their own crews and two escaped to Argentina. Admiral Karl Dönitz, who was prosecuted for war crimes at the Nuremberg Trials, cited his own support of Rogge in an effort to clear himself of the charge of being antisemitic. Rogge confirmed the death sentence of the 21-year-old sailor Johann Christian Süss. Süss was sentenced to death on 10 May 1945, one day after the German capitulation, for “undermining the discipline” and “disruptive speeches” based on paragraph 5 numeral 2 of the Kriegssonderstrafrechtsverordnung (KSSVO—Special War Criminal Regulation). Süss was executed by firing squad on 11 May 1945. Rogge was appointed Chief Of Staff, Inspection of Training- Affairs of the Kriegmarine from 15-0-1942 until 28-02-1943. Following he was Inspector of Training-Affairs of the Navy until 19-09-1944 and Commander of Training-Formations of the Fleet. At the same time, Commander of Battle-Group Rogge from 10-03-1945 until 10-04-1945. 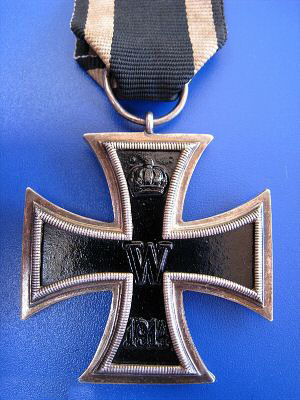 Rogge spend the rest of the war in Germany and by the end of it he achieved the rank of Vizeadmiral. Rogge also was one of the few German officers of flag rank who was not arrested by the Allies after the war. This was due to the way he had exercised his command of Atlantis. In 1957 he joined the West German navy the Bundesmarine as a Konteradmiral and retire from it in 1962. Death and burial ground of Rogge, Bernard. Living in Reinbek, Rogge died on 29-06-1982, age 82 and is buried with his wife Elsbeth, born Schumacher, who died age 90, in 1999, on the Stadtfriedhof of Reinbek, close by the grave of Generalmajor der Flieger, Kommandant Flug Lufthafen Praque, Hans Metzner.